On Monday, the Trump administration froze assets, banned travel, and prohibited Americans from dealing with Maduro himself in response to Sunday’s vote, in which an estimated 15 percent of the electorate participated according to opposition estimates. Maduro is now the most senior Venezuelan official to be sanctioned after similar measures were taken against 13 senior Venezuelan officials on grounds of human rights abuses, corruption, and undermining democracy. The Venezuelan government staged a vote Sunday to elect members of the “national constituents’ assembly,” an unconstitutional entity that Maduro has fabricated to replace the democratically-elected, opposition held National Assembly. The election featured exclusively socialist candidates and attracted global condemnation. Mnuchin also said the administration would consider sanctions that target the Venezuelan oil industry. The oil industry in Venezuela represents 95 percent of the country’s exports, with the United States accounting for over a half of that figure. As Venezuela’s crude oil is very heavy, the nation relies on the United States and other nations to refine the oil and sell it back to them as gasoline. 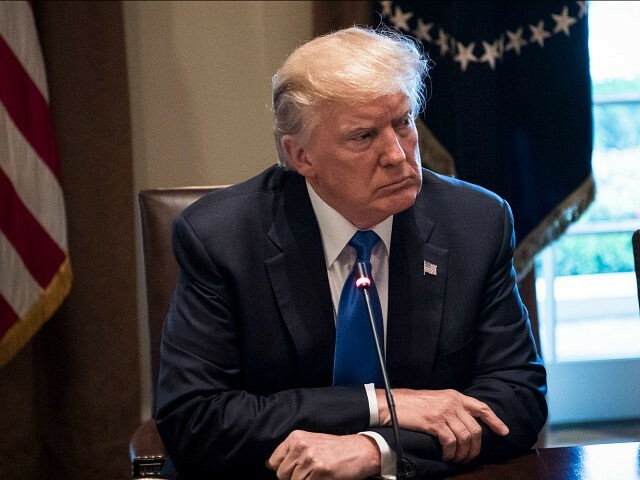 Since President Trump’s inauguration, the Trump administration has called on Venezuela’s Maduro regime to respect the country’s constitution, to respect the role and authorities of the constitutionally established national assembly, hold free and fair elections, address the humanitarian needs of the Venezuelan people, and stop oppressing its great people,” he said. “The regime has refused to heed this call, and his recent actions, culminating in absolute power through the sham election of the national constituent assembly, represents a very serious blow to democracy in our hemisphere. Maduro is not just a bad leader, he is now a dictator. Following an unofficial referendum earlier this month in which 98 percent of 7 million participants voted against the creation of constituent assembly, Trump himself warned that the United States would “not stand by as Venezuela crumbles” and would impose “strong and swift economic actions” should Maduro push ahead with the power grab. The country is currently experiencing the worst political and humanitarian crisis in its history. Amid skyrocketing inflation, most Venezuelans can no longer afford basic resources such as water, medicine, and sanitary products. Meanwhile, 125 people have died as a result of anti-government protests that have taken place since March.